My sister, Jessica, recently wrote to say that several kindergartners at her school (Girls Prep) had chosen snails as a research subject. 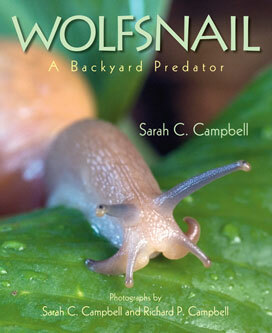 She said they had read Wolfsnail: A Backyard Predator and then had spent time on my website to help them think about how people research topics they know nothing about. Cool! Meanwhile, Tricia Stohr-Hunt at Miss Rumphius Effect, recommended Growing Patterns: Fibonacci Numbers in Nature for people looking to do some mathematical reading. I spent several hours Monday at a school working on a video project. I’ll be wrapping that up tomorrow. On Thursday, I head to Sumrall Elementary School for a Mississippi Day celebration.